Rob Loe is the only SLU starter whose field-goal percentage is not down from last season, though his touch from behind the 3-point line has dropped. ST. LOUIS — Look at the Saint Louis University Billikens’ 11-2 record and you think indeed they have picked up where they left off after last season’s memorable run to the Atlantic 10 championship. Then you listen to the players after some of their games and you think the Billikens would have a losing record. "We’re so up and down," leading scorer Dwayne Evans said after a recent victory. "We’ll take a play off here and there. Down the stretch last year, that wasn’t happening." So which is it: a) Are the Billikens right where they want to be? or b) Has their season been a disappointment to this point? Correct answer, as usual, is somewhere in between, though it leans more toward b than a. For two reasons: Schedule and shooting. Because of their relatively soft non-conference schedule, a 12-1 record would feel a lot more than one game better than their present mark. Of SLU’s first 13 opponents, only three — Wisconsin, Wichita State and Indiana State — have a real chance to make the NCAA tournament, as anything more than a 16 seed, anyway. The Billikens lost to two of them. They manhandled Indiana State last week in what most considered the best game of the year, and a six-point loss to Wisconsin on a neutral court was not discouraging. The 12-0 Badgers, ranked 10th when they faced SLU in Mexico, are up to No. 4 in AP’s Top 25. That leaves a five-point home loss to then-No. 12 Wichita State as the cause for disappointment in the Billikens’ record. Call that harsh if you want. But when you play less than a marquee schedule, you need to beat the few top 50 teams you face, especially when playing at home. "We don’t get opportunities like this all the time. When we get these opportunities, we have to give it our all to finish it out," guard Mike McCall Jr. admitted after SLU blew a seven-point lead in the final seven minutes. This lack of marksmanship has not been limited to one or two players. Four of the five starters have suffered a drop in field-goal percentage. The lone improvement has been turned in by 6-foot-11 forward Rob Loe, and his touch has dropped in the area he feels most comfortable, the 3-point line. Loe has made only 13 of 46 3-pointers (28.3 percent), and that’s following a 4-for-7 showing in his past two games. Jordair Jett’s shooting has been down across the board, with his 58.2 percent showing from the free-throw line more of a concern than his 22.2 percent (4 for 18) on 3-pointers. The team’s leading playmaker, Jett figures to have the ball a lot late in close games. 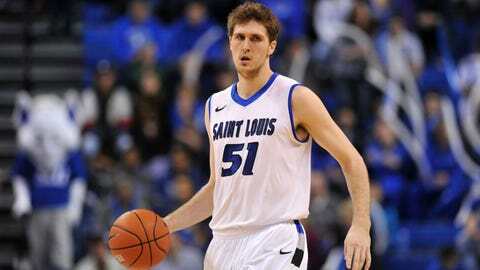 But if he struggles from the free-throw line, the Billikens might have to adjust their offense. While subpar shooting against Wisconsin and Wichita State could be attributed to the opposition’s defense, the Billikens haven’t offered much of an explanation for their other misfiring. A couple of times, coach Jim Crews has mentioned that the Billikens have shot inside like they were expecting to be fouled rather than taking the ball up aggressively. Assistant coach Calbert Cheaney said last week the coaches haven’t been able to identify a reason, either. "I really don’t know why," Cheaney said. "The guys work on their shooting every day and, for the most part, they’ve taken good shots in games. They’re just not falling for us yet." 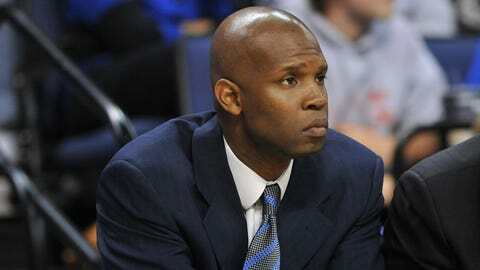 The Billikens began a five-day holiday break after Saturday’s 79-57 victory over North Carolina A&T. They will return to practice Thursday, with their next game set for Dec. 30 at Vanderbilt and their next home game for Jan. 4 against Yale. Though Vanderbilt is picked to finish in the bottom half of the SEC, any game against a power conference presents a respectable challenge to SLU. This one also offers the chance to turn a slightly disappointing start into being right where they want to be.